. : Frankish Enterprises History :. Don & Sandra Frankish live in Lethbridge, Alberta Canada and are the owners of Frankish Enterprises Ltd. 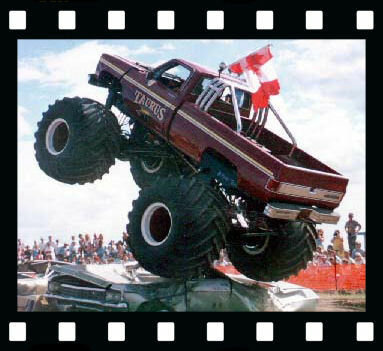 The team campaigns two trucks, Maniac and Jurassic Attack, and is currently in the process of turning the recently purchased Terminator III truck into the team's new ride truck. 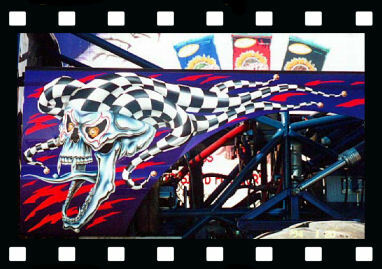 Maniac and Jurassic, which are almost always seen at shows together, attend a number of west coast shows both in Canada and the US. 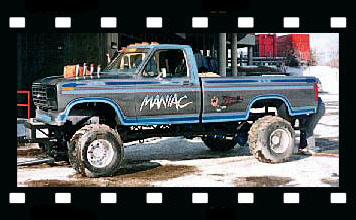 Don drives Maniac and has hired Nathan Weenk to drive Jurassic Attack. 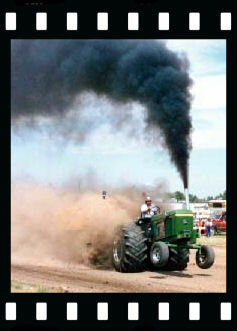 Don started out in truck and tractor pulling in the 1980's with his father and brother. His father had a Super Stock John Deere tractor; his brother, Kirk, a Modified class Jet Turbine; and Don competed in a Super Modified 4x4 called Maniac. 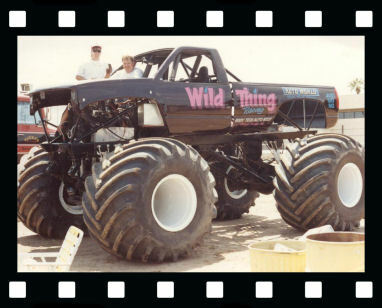 The truck was then converted to Wild Thing and eventually sold. The years that followed Kirk worked for Bigfoot and then for Seth Daulton. Don drives a monster for the first time, behind the wheel of Knight Warrior. Early pics of Maniac, with Don in the cab. Kevin Weenk and the Young Gun. And the start of the two truck team. Jurassic Attack and Maniac, The Spitz years. 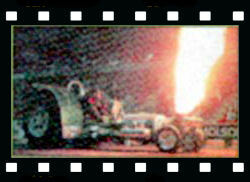 Don built a new chassis for 2001 for Jurassic Attack. The chassis is very similar to his Maniac Patrick chassis. Don designed the truck to allow for interchangeable parts between the two trucks. The Weenk family tradition at Frankish Enterprises continued, as youngest brother Linsey succeeded Kevin, and drove for the team for the next five years. When Linsey left to drive for Jimmy Creten and his 2Xtreme Racing team, Nathan Weenk stepped into the seat, and is the current driver of Jurassic Attack. 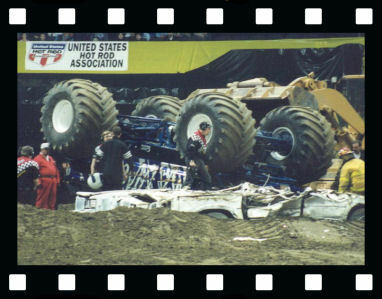 Nathan was nominated for the 2005 Monster Jam Rookie of the Year award. 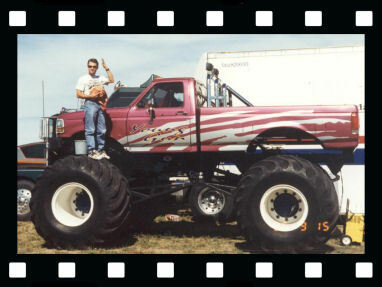 Fans can see Don and his trucks at Monster Jam shows and others around the world. In the last few Years Linsey Weenk went on to drive Blue Thunder and Nathan Weenk went on to a great year in El Toro Loco. Other drivers who have done well In Jurassic Attack include Kristy Edge and Gary Schott JR.
With the Jurassic chassis for sale and a limited number of events in 2010 we have relied on some great friends to fill in and run Jurassic Attack. Here is the recent list. Don's brother's Jet Turbine even competed in Japan and Hawaii. On one trip Kirk met Jack Willman (Taurus). Kirk eventually bought the leaf spring Taurus truck and campaigned it as Taurus for 3 years. Wild Thing with fresh paint, and the grill yet to be installed. Don decided, while Kirk was driving Taurus, that Monster Trucks looked a lot more fun than pullers so he decided to sell his puller and get into Monster Truck Racing. 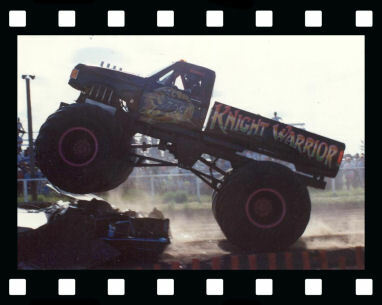 In 1989 he bought a leaf spring truck, Knight Warrior, that he updated, bringing the Maniac name along with him. 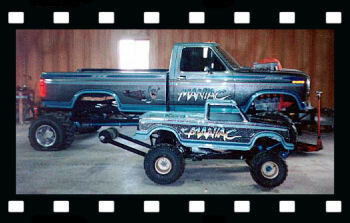 In 1995 Don bought a Patrick chassis that became Maniac and the old truck was renamed Young Gun. Don hired Kevin Weenk, the oldest of the Weenk brothers to drive for the team, and he would continue to do so for the next four and a half years. Maniac and Kevin Weenk upside down, the team's first rollover. When Bigfoot introduced Snake Bite, Don really liked the 3D body idea. He knew he wanted to come out with one but waited 5 years to see if 3D bodies were here to stay. He made up some drawings of bodies including a T-Rex but decided that his triceratops-based Jurassic Attack body looked better. Don built the body for the Kids and and they love it everywhere the team travels. It always draws a lot of attention. 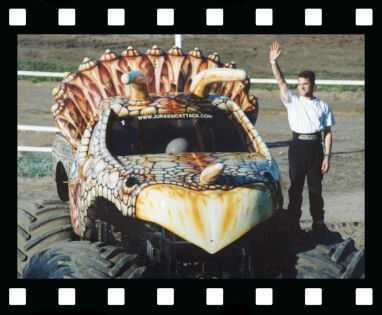 Early Jurassic Attack shot, Kevin Weenk the driver.